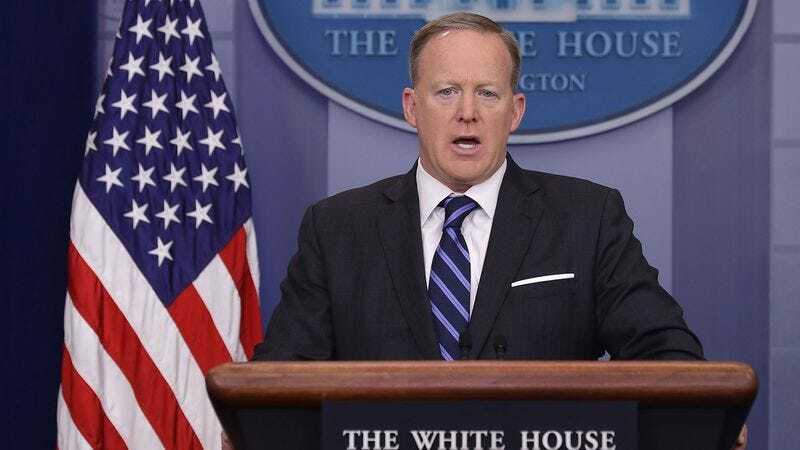 WASHINGTON—Urging the assembled reporters to move things along, White House Press Secretary Sean Spicer announced at a press conference Thursday that there was only enough time left in his career for a couple more questions. “We’re going to have to wrap this up soon, folks,” said Spicer, adding that he could only call on three or four more journalists before being forced to tender his resignation or summarily dismissed. “I’m just about done working here, so why don’t we jump right in? If you have any questions that I don’t get to, please hold onto them and my successor will follow up with you, assuming my position isn’t eliminated entirely.” At press time, Spicer had refused to directly answer each of the final questions he was asked.